In the early spring, Bratislava wakes up slowly. Come April and May, the City is full of bloom. With warm nights approaching, the pedestrian zone of the Old Town with its outdoors cafes and restaurants turns into a hub of life. A springtime visit to the city can give you a shot of positive energy. For one weekend of the year, in the second half of April, museums, galleries and sports venues managed by the City Magistrate open their doors free of charge as part of the ‘Bratislava for Everyone’ event. Look out for the exact date of the event (‘Bratislava pre všetkých’ in Slovak), if you are into museums. During this particular weekend, the city welcomes the arrival of spring with various events, including concerts and street performances, organised around the city. Those more athletically inclined should visit Bratislava in March or April. The Bratislava marathon has been organised in the capital since 2006. During the event, Bratislava experiences the atmosphere of a big city marathon, with runners from all over the world taking part. Please note that you will need to register in advance to secure a place. Albeit somewhat smaller and more local with over 5,000 participants, the National Run Devin – Bratislava in April has a much longer tradition and its organisers claim it is the oldest athletic event in Slovakia, with the first-ever run from Devin to Bratislava taking place in 1921. The route is 11,625 metres long and the crystal trophy for the winner of the run dates from the 1930s. 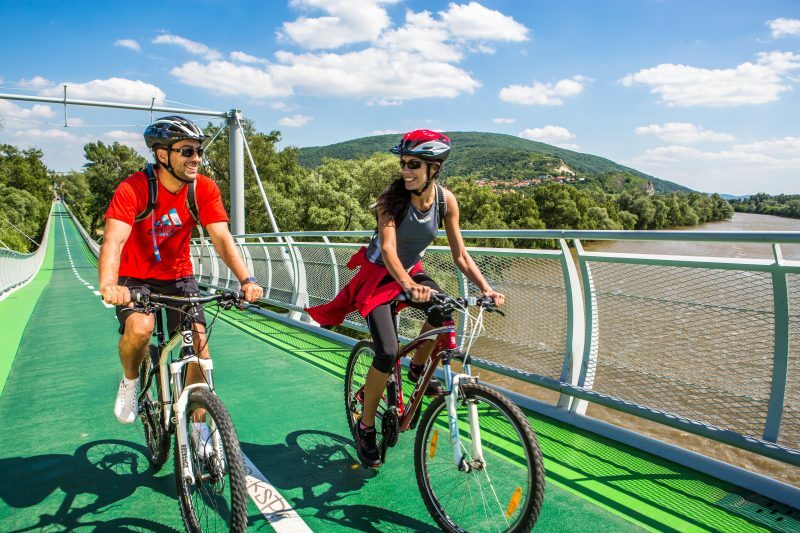 Bratislava is also a place to be for those who prefer biking. In recent years, a number of cycling routes have been opened around the city, connecting it with neighbouring Austria, Czech Republic and Hungary. For more than three decades now, Bratislava’s spring is linked with an international flower fair, Flora, taking place in Bratislava’s largest exhibition centre, Incheba. If this fair does not satisfy your interest in Slovakia’s flora, you might be inclined to take a look at Bratislava’s botanical garden, open for the public from early April each year. The garden, which is owned and run by the Comenius University, is not only a depository of a large number of indoor and outdoor plants, both local and exotic, but also a nice place to go for a peaceful walk if you need a break from the stone and concrete of the city. Lack of green areas in the city centre is one of the complaints often voiced by the locals, but despite this, you can find spots providing springtime blooming sceneries. The Medical Garden and the Presidential Garden, both located downtown, are well sheltered from the roar of the city transport. For more wilderness, take a trip to Devin castle on the outskirts of Bratislava and easy to reach by city buses or car – here, the Moravia river flows into the Danube, and from the castle hill, on the very borders of the country, you can see the Austrian bank of the Danube. Another hidden gem is Horský Park, a forest park just outside the city centre. At one of the entrances to the park you will find the historical building of the ‘Horáreň’ (Gamekeeper’s House). Reconstructed by the Horský Park Foundation, it has become a popular venue for cultural events and is a nice place to catch up with friends over a cup of coffee or tea after a stroll in the forest park. In Karloveská Zátoka, Danube’s bay near the Karlova Ves district, you can rent a boat and take a ride around this unique place. The biggest green area, popular with picnic lovers, runners and families, is Železná studnička. Take a boat ride on one of its lakes or hop on a small cableway to take you to Kamzík Hill with its TV Tower restaurant. 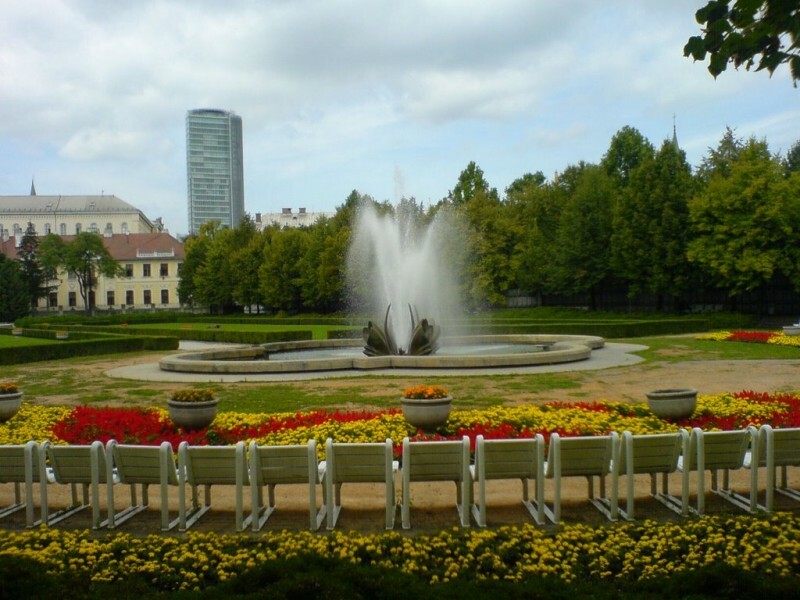 Just a 15-minute walk from the Old Town, Bratislava’s second largest park extends over what were formerly floodplain forests on the right bank of the Danube. It was founded in 1775-1776 and it is one of the oldest public parks in Europe. The original French-style park was transformed into an English-garden style landscaped park in 1832. At the end of the 19th century, the original Gothic tower of the Franciscan Church was transferred to the park. 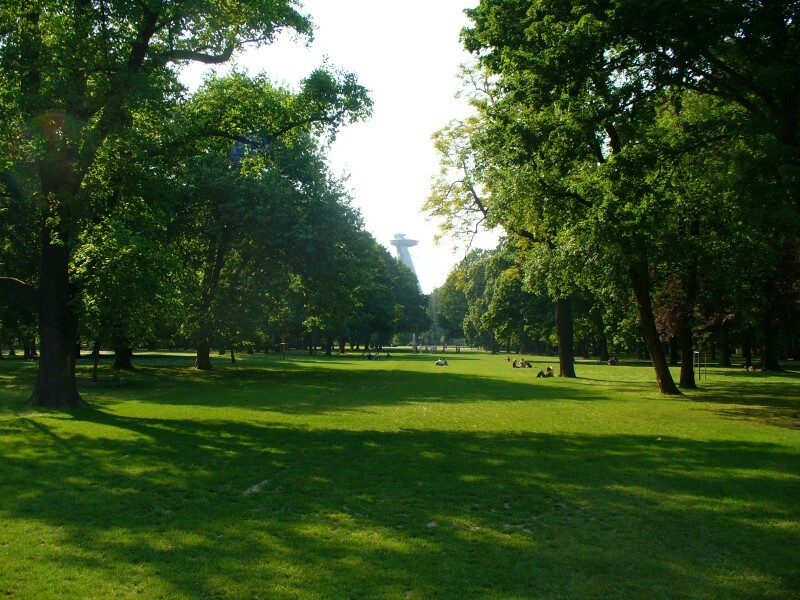 The park is frequently visited by Bratislavans, looking for somewhere to rest and to play sports. Come springtime, Farmers’ markets take place in several parts of the city on different days of the week. Bratislava is no different from other European cities, where fresh and local products bought directly from the producers are seeing their renaissance. Farmers markets are vibrant, offering the best of the region’s produce, usually accompanied by other events like presentation of crafts or music concerts. Every second Saturday of the year, markets in the Old Market Hall are held in a friendly atmosphere. In May, several food festivals take place in the city where both local and exotic cuisine is presented through live shows, tastings and workshops. They have become a favourite pastime for connoisseurs of cuisine, but also for families with children who take advantage of the accompanying events for adults and kids. Farmers’ Markets taking place in the Janko Kráľ Park on the South bank of the Danube and Slovak Food Festival at the Bratislava Castle. In the Old Town, Strawberry Days take place every year in June – a two-day event where you can taste everything possible made out of strawberries. If you fell for the fashion of urban markets, do not miss out on a very pleasant event, the ‘Good Market’ (Dobry Trh) at the Panská street and Jakubovo Námestie, where local food and handmade products are the main attractions.